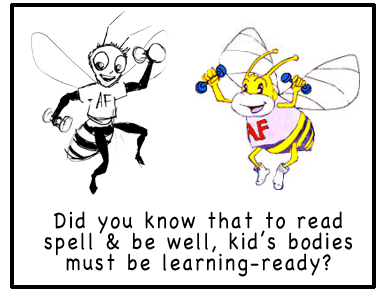 Alphabet Fitness is a unique, highly effective alphabet literacy and fitness program, designed by Wellness, Inc. for children and their teachers. 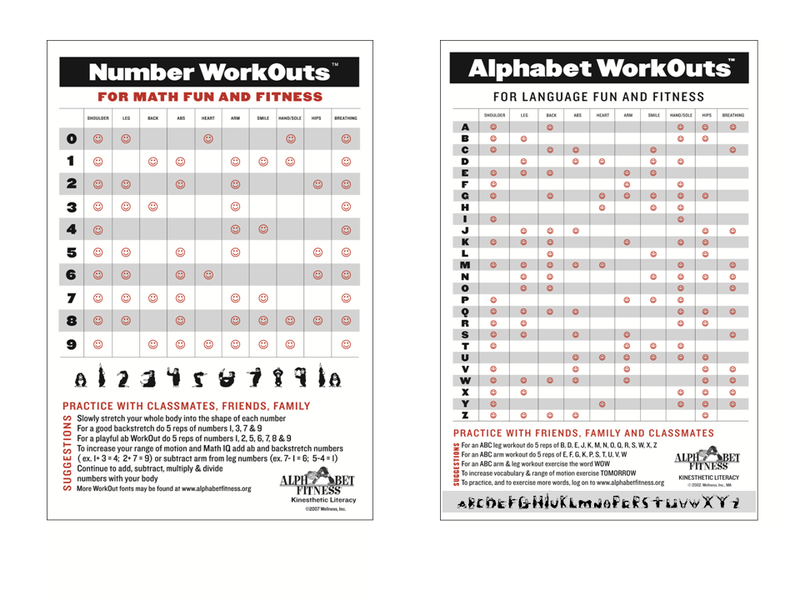 Built on the proven realization that healthy bodies promote healthy minds, Alphabet Fitness establishes early language skills through fun physical activities and team learning. Very few pay attention to the fact that the letter shapes of the alphabet are learned in mostly fine-motor sedentary, inactive positions; require fine motor and audio-visual focus; and are not designed for young, kinesthetic learners (more than 85% of today’s young children). Restrict those children who love to play and move to learn. Do not promote optimal cross-lateral, left-right, and whole brain-body learning behaviors. Make it more difficult for children to release energy and stress, contributing to hyper arousal, which can in turn result in health and learning difficulties. Alter a child’s natural breathing and circulatory patterns. 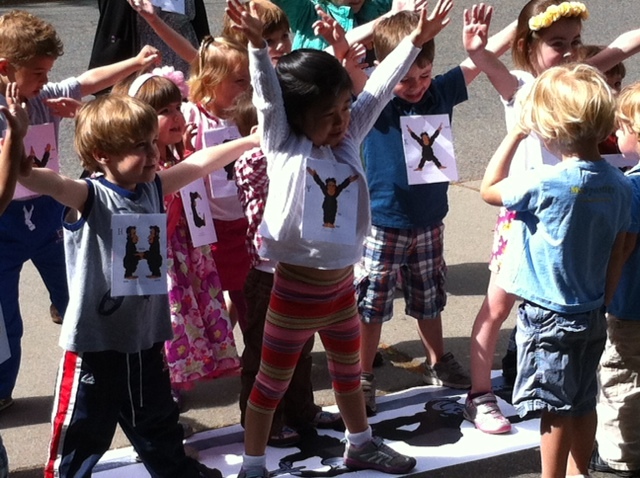 Change a child’s O2-CO2 ratios. Foster sedentary habits, isolated learning, and poor confidence and lack of cooperation. Relies on premature development of the child’s fine motor, audio-visual skills. Foster ocular lock (tunnel vision) and loss of sensori-motor integration skills. Meeting 2010 State Licensing Regulations for 60 Minutes of Daily Physical Activity, as well as English Language & Arts Proficiency and Wellness Mandates. Incorporating the 26 letters of the alphabet into a child’s daily physical routine applies sport performance skills to learning and health.